Mario Balotelli has hit back at Robbie Savage after the former midfielder crtiticised the Liverpool striker for pulling out of their FA Cup clash with Blackburn Rovers with illness. Brendan Rodgers confirmed the Italy international had travelled with the squad to Ewood Park on Tuesday, only to return home the following morning after complaining of feeling unwell. This followed Balotelli pulling himself out of Saturday’s clash with Arsenal through injury, and Savage felt the former Manchester City man had acted disgracefully in not trying to help his side to a semi-final at Wembley. “Pathetic, isn’t it? You’re going to miss an FA Cup quarter-final?” he told BT Sport. 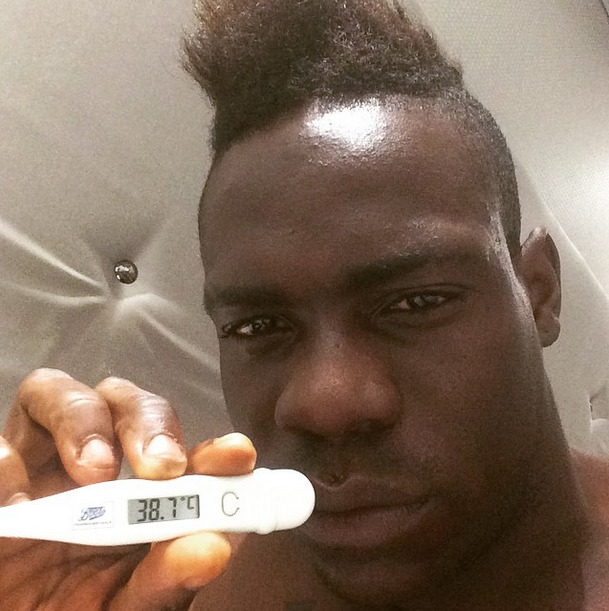 Balotelli reacted by posting a picture on his Instagram account showing him with a thermometer to his mouth which showed him to have a temperature of 38.7C – 1.7 degrees above normal body temperature.